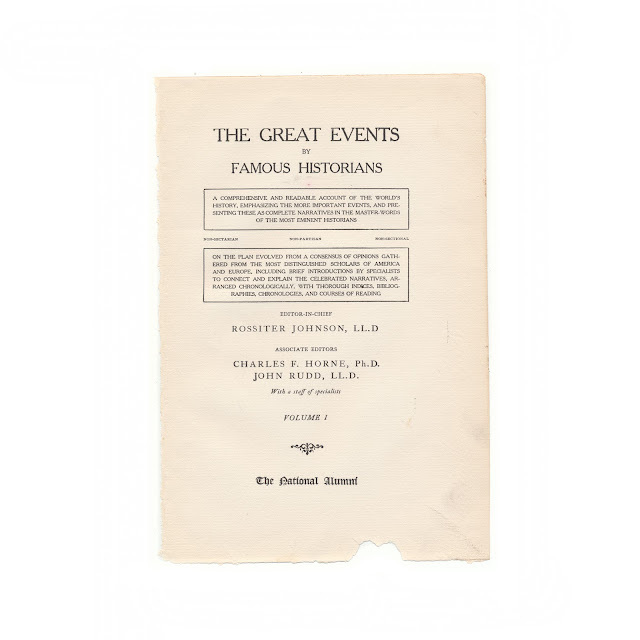 This 6" x 9" original antique print was recovered from a disbound edition of "The Great Events By Famous Historians " edited by Rossitier Johnson. It was published by The National Alumni Co. in 1905. 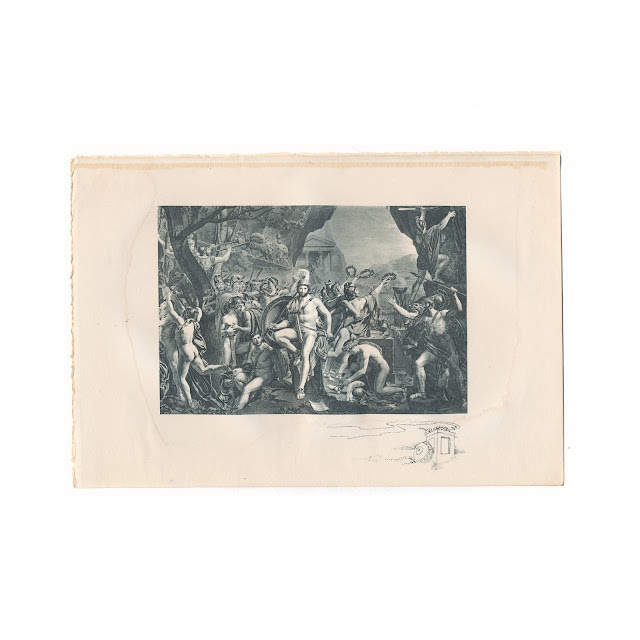 This illustration is titled "Leonidas and His Three Hundred Immortal Spartans Preparing For The Defence of Thermopylae Against the Persian Hosts" from a painting by Jacques David. Paper shows stains to right and left margins, a bit of soil, rough edge where it was bound into the book. Title page from the original book shown for informational purposes and is not included with the sale. 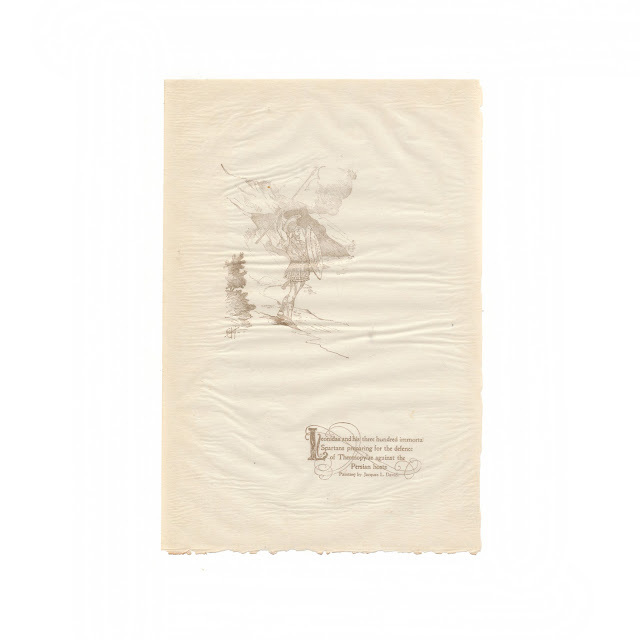 Tissueguard with print information is included.